"I am here to support the needs of our Staff, Customers and Candidates." Clara Zinda heads up Administrative Services for FACET outplacement, coaching and human resources operations. She is in charge of data base management as well as FACETAdvantageTM account set up, training and support for both Program Managers and Candidates. 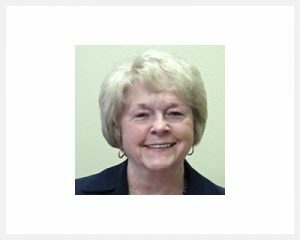 She has expertise and broad knowledge in delivery of all administrative elements of project administration with proven success in supporting Candidates at all levels during career transition and coaching. Prior to joining FACET, Clara worked for 15 years with a major, global outplacement and human resources firm where she had significant career transition, project and financial management responsibilities. Her background further includes experience in both the oil and gas and insurance industries. A native of New Mexico, Clara attended Eastern New Mexico University, Portales, NM majored in Business Administration plus continuing education in Advanced MicroSoft Office and MediSoft v19. For the past 13 years Clara has been a Member of Pegasus Quest, LLC, a small business providing speech therapy to children. She oversees the credentialing of therapist, verifies patient insurance information, submits insurance claims and collections. Clara is dedicated to visiting an Assisted Living Facility spending time with residents who don’t receive weekly visitors.